Mail Fraud as Health Care Fraud - Oberheiden, P.C. For federal law enforcement, the will is to arrest, convict, and sentence as many people as possible. The higher the defendant’s profile, the better. High-profile takedowns make for juicy news, bolstering the prosecutors’ professional reputation and bringing more money into the government (in the form of fines, fees, reimbursements, and the prison system). For those reasons and more, the will is very strong. The way can take many forms. In truth, federal agents have many, many ways to bring criminal charges against health care professionals (pharmacists, surgeons, doctors, billing coordinators, nurses, physician assistants, corporate board members of medical companies… the list goes on). Congress has given the government an extensive menu of criminal statutes to choose from, and judicial interpretation has expanded the options even further over the years. One of the most common “ways” is found in 18 USC §1341: the federal mail fraud statute. On its face, Section §1341 is not specific to the health care industry. Any kind of mail fraud will do (and we’ll look at exactly what “mail fraud” means below). Nevertheless, §1341 has proven especially popular among prosecutors and grand juries in health care criminal cases. In today’s article, we explore the government’s use of the mail fraud statute as a health care crime… and why medical professionals in this country must be so very careful not to run afoul of it. If the violation occurs in relation to, or involving any benefit authorized, transported, transmitted, transferred, disbursed, or paid in connection with, a presidentially declared major disaster or emergency (as those terms are defined in section 102 of the Robert T. Stafford Disaster Relief and Emergency Assistance Act (42 U.S.C. 5122)), or affects a financial institution, such person shall be fined not more than $1,000,000 or imprisoned not more than 30 years, or both. The classic image of mail fraud involves a con artist writing a duplicitous letter to an unwitting victim for the purpose of swindling that person’s money away from them, then sticking that letter in a stamped envelope and dropping it in the nearest USPS mailbox for 5:00 p.m. pickup. But the meaning of mail fraud under 18 USC §1341, as Congressionally defined and judicially interpreted, is broader than that. There are countless alternatives to the traditional U.S. mail service today, and many companies now contract with smaller or regional delivery services to process packages and letters (perhaps as a go-between for the company and USPS). Any of these services can constitute “mail” under 18 USC §1341. For that matter, hand delivery might even be sufficient in some cases. 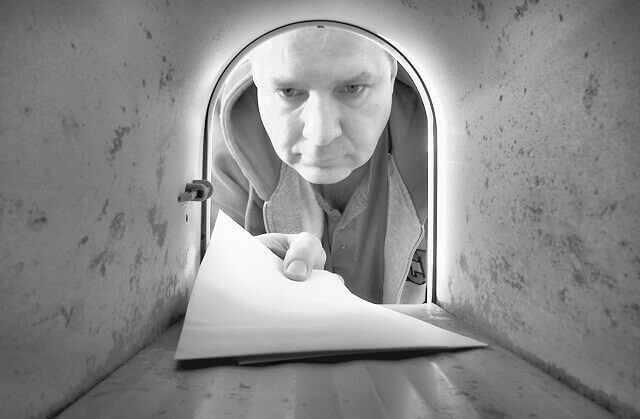 Moreover, you don’t have to physically drop something in the mail to commit mail fraud. For example, we’ve seen credit card fraud cases where the defendant was also convicted of mail fraud under 18 USC §1341 simply because a credit card statement connected to the fraud was mailed to the victim. In other words, the connection to the “mail” can be relatively distant and still lead to conviction. The government loves for 18 USC §1341 to appear on indictments because, among other things, it allows them to freeze your assets — one more tool to leverage against you. Under Suspicion of Medicare Mail Fraud? Contact Oberheiden, P.C. Right Away. The Medicare mail fraud law attorneys at Oberheiden, P.C. are here to answer your questions, review your options, and develop effective strategies for ending investigations and keeping you out of prison. We offer free and confidential consultations for medical professionals who have legal concerns, particularly in matters relating to health care fraud. Contact us right away. Medicare Mail Fraud Law Defense Lawyers – Oberheiden, P.C.